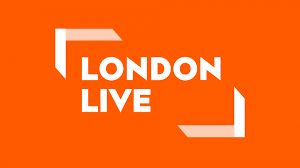 Updated | Ofcom has launched a consultation on plans to reduce the amount of local programming on London Live, part of plans to focus resources on key times when most viewers are watching. Regulator Ofcom has already agreed to relieve London Live of some its original local output quota, allowing more time to show London-themed entertainment and lifestyle programmes bought in from other channels. But a new proposal to cut programme commitments submitted to Ofcom earlier this month appear to be too much of a departure from the character of the service, according to Ofcom, who have opened up the proposals for a consultation period until 13th October. In a statement, the channel said the changes would ensure "that London Live continues to deliver high quality news and current affairs programmes." Despite radical changes in programme output and commitments since its launch 2 1/2 year ago, Tim Kirkman, Managing Director of London Live, rejected claims that the channel is troubled, pointing out to a516digital that his channel outperforms ITVBe, Sky Living, 5USA, Drama and W in audience research figures for the capital. Lower than expected viewing share was cited as necessitating a review of programme commitments, with an audience share of 2.5% - predicted in a report commissioned by the Department for Culture, Media and Sport - failing to materialise, prompting a review of commitments across the local TV sector. Ofcom says it will "consider any responses to this consultation before deciding whether or not to consent to the changes requested by ESTV Limited." Any changes would see Ofcom amend the quotas attached to the channel's Freeview channel licence. Earlier, Ofcom launched the consultation with information that has now been updated following a correction. You can visit the consultation documents via this link. *These figures refer to the first-run local programme commitment as outlined in the Ofcom licence. We use this as a standard benchmark that is included on all local TV licences as the figure includes live news and doesn't include repeats. London Live refers to a higher figure in its press coverage, which includes a broader range of local programming including repeats and local programmes not previously shown on the channel. What the point of having local tv channel when thay what to lower programming even more, as the no point of local tv might of well be remove the channel completely, as it will go down hill with very low programming and people will not watch local tv anymore and lose faith in the channel and seam to be all about saving money what a big waste if this what's happen to local tv. No one is interested in local TV! It is a complete waste of bandwidth which could be used to improve picture quality. At least PQ that is something people care about to a certain extent(apart from OFCOM! ).